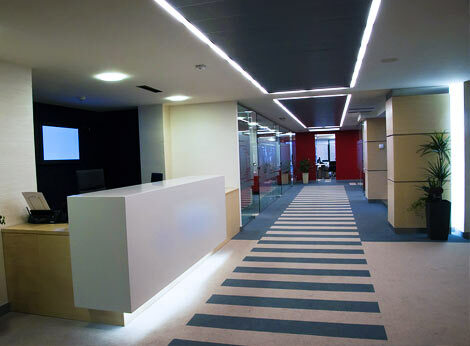 Be it offices, shops, restaurants, hotels, movie theaters, schools, ect – to maintain and improve the image of your establishment and extend the life of your expensive flooring investment, you have to maintain the utmost level of cleanliness to satisfy customers, employees, tenants or anyone else who walks through the door. To provide the utmost level of customer service to your guests, We offer commercial carpet cleaning services in the Washington D.C metropolitan area and beyond. Our carpet cleaners also expertly clean area rugs, upholstery, tile and grout, too — no job is too large! Here are DC Carpet Cleaning, we are able to keep your commercial carpets looking their best. We can provide you with a one time "restoration" cleaning package to revitalize your dull, heavily used and soiled carpet, or we can provide entire maintenance programs from weekly surface cleaning your high traffic areas to annual or bi-annual wall-to-wall deep cleaning. DC Carpet Cleaning has proven we are the company that meets the demanding cleaning challenges posed by high traffic Washington D.C. office complexes. We deliver positive results every time, and we are experienced in all aspects of proper office carpet cleaning. We understand the ins and outs of apartment life for both property management and tenants. Our professionals at DC Carpet Cleaning team will be happy to satisfy your requirements. We offer reliable and quick end-of-tenancy cleaning service for all tenants and landlords. Modern hotels demand a housekeeping operation which is efficient and causes minimal disturbance to guests. We specialize in cleaning tasks including overnight cleaning, deep steam cleaning of catering areas and the special treatment of decorative finishes. DC Carpet Cleaning boasts an excellent reputation for our top-quality school carpet cleaning service. We use high-quality machinery, which is built to last and can restore even the most worn carpet, upholstery and bathroom tile to its former glory and radiance.